Home » WATCH: Is the government hiding secret technology brought to Earth by aliens? According to self-appointed “UFOlogist” Steven Greer, aliens have come to the Earth many times over — and even had a meeting with President Dwight Eisenhower in the 1950s! — but most people are unaware because of a government conspiracy to hide the truth. And he has a new documentary out, titled “Unacknowledged,” that promises to blow the lid off the whole thing. 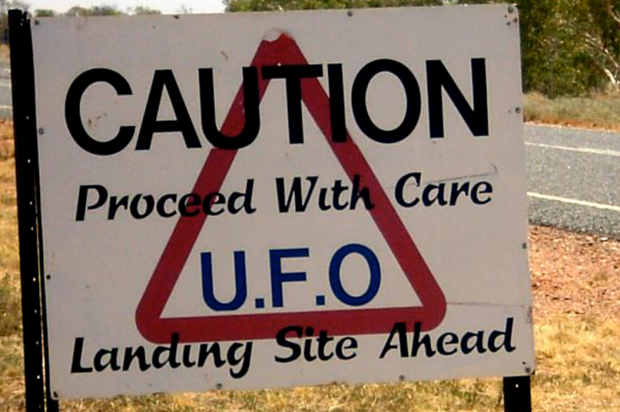 In the documentary, Greer warns viewers of the very real dangers awaiting anyone who dares expose the secret government cover-up of alien visitations. “If you tell anyone about this project, this bullet has your name on it and it will find you,” he says in a dramatic tone in the film. But when I spoke with him for a Salon interview a few days ago, Greer had a different message: Don’t worry about getting a bullet to the head. “So I’m having you here on Salon . . . to talk about this. Should I be worried about my safety?” I asked. Greer seemed largely undeterred during the interview by my skepticism, happily describing the aliens — “4 feet tall, have no hair, no earlobes, a very small nose and slight lips lips” — as well as the alleged conspiracy to hide the truth from the public. Unfortunately, he didn’t have a very good answer for why these super-advanced alien races keep crashing into our planet instead of sticking the landing.